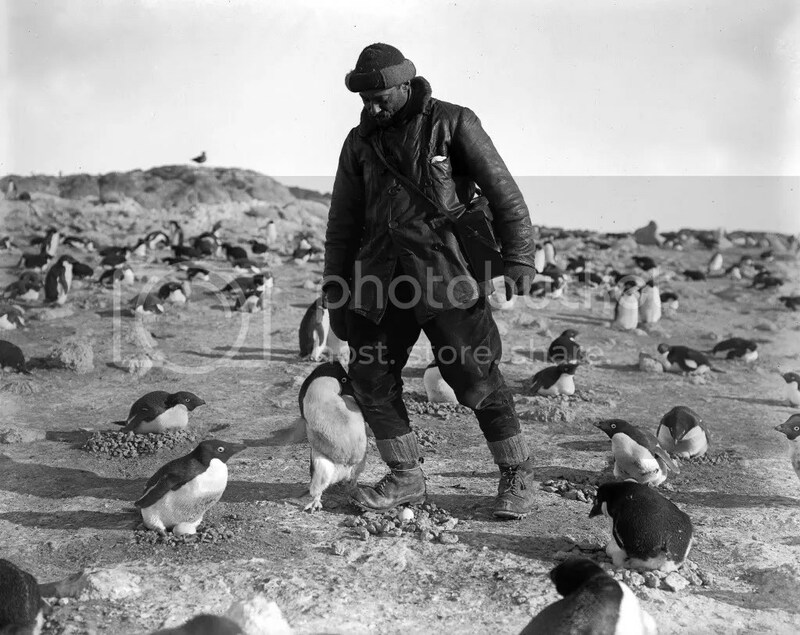 Marking the centenary of Scott’s epic voyage to the South Pole, the Getty Images Gallery, in association with the Scott Polar Research Institute, is presenting a new photographic exhibition which will feature the work of Herbert Ponting, the photographer who accompanied the expedition. “The Journey South” will run from 4th February until 6th March. Herbert Ponting’s beautiful and graphic photographs record the conditions faced by Robert Falcon Scott’s team of men before their final push to the pole and before tragedy ultimately struck in 1912. 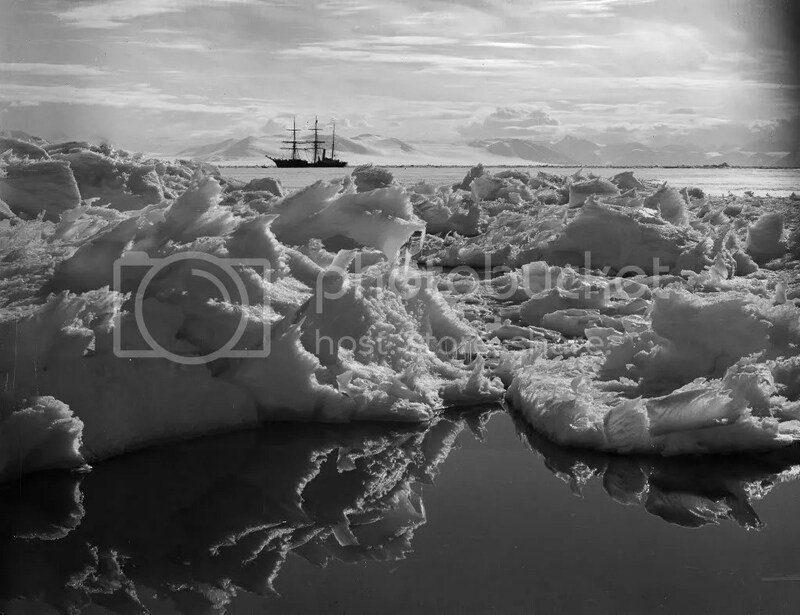 Ponting also captured the stark beauty of Antarctica 100 years ago, in a series of landscape shots which remain iconic and timeless to this day. The collection provides a stirring testament to the heroism and bravery of all involved and perfectly encapsulates the spirit of adventure and discovery that marked the epic journey. The glass plate negatives from which these images are taken are preserved in the Scott Polar Research Institute, University of Cambridge. This part of the collection is represented by Getty Images. 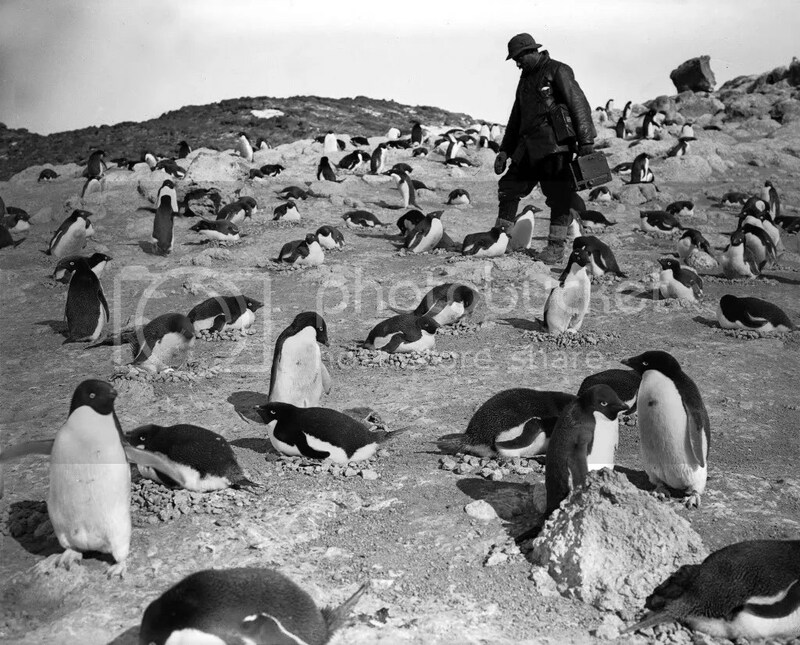 Herbert Ponting was a self-taught photographer who spent time travelling through the Far East, photographing people and places, before joining the crew of the Terra Nova on their journey south. He recorded the difficult living conditions under which the expedition members and their animals lived and worked. Among the incredible collection of images is a photograph entitled “The Tenements”, showing the cramped bunks in Winterquarters Hut, which made up the living conditions of the team. Another image shows Evans and Crean sitting in front of shelves stacked with boxes mending their sleeping bags whilst smoking a pipe. Lieut Evans is also pictured observing Jupiter through a telescope in the middle of the night, whilst dressed in a balaclava and heavy overcoat. Herbert Ponting himself is also captured working in the dark room and posing with his cinematograph (the tripod mounted film camera that he used to record the voyage). 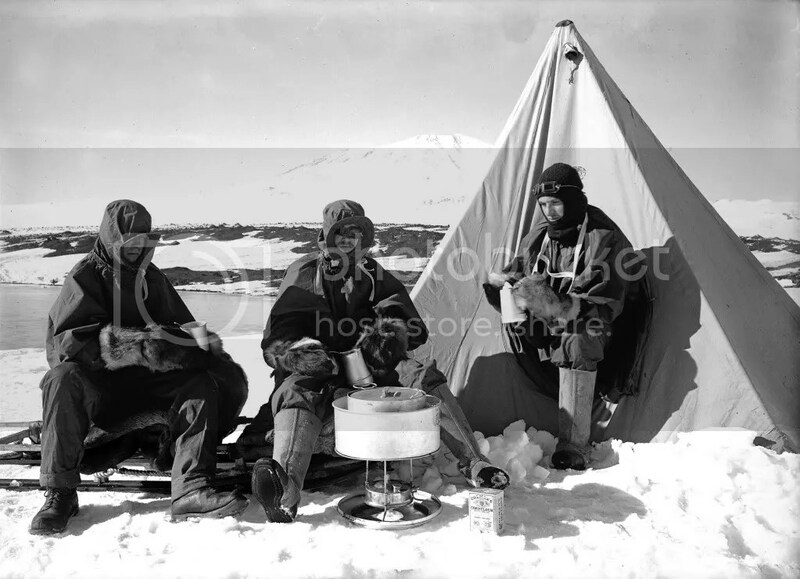 Ponting’s brief was to also satisfy the expedition’s sponsors and so the collection includes humorous, advert-like images of crew members consuming Heinz baked beans and Fry’s chocolate. In one image, an expedition member sits on two boxes marked ‘Heinz Baked Beans’, on the snow. He holds a can in one hand and a spoon in the other. Getty Images Gallery Director, Louise Garczewska said, “Ponting’s images are truly awe-inspiring.